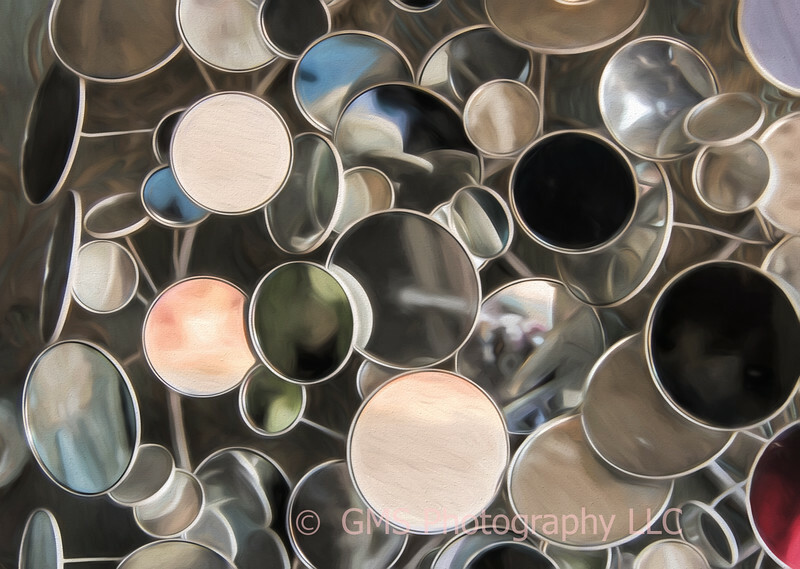 A collection of small mirrors hang in a store window as part of an ornament. Each mirror reflects a different view of the world outside their environment as if expressing their individual personalities. The different views form an interesting abstract when displayed as a collection.